When trouble comes as a surprise and your whip ain't getting you home, you need Towing Chandler AZ. 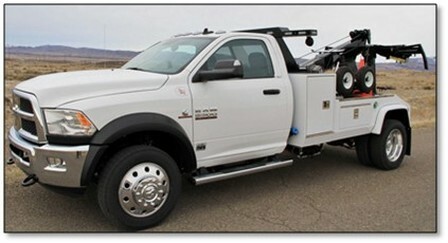 We offer affordable tow truck service 24 hours a day. ​We will haul your car or truck or RV or motorcycle to a repair shop or where ever you need to go. We do this stuff 24 or 25 hours a day, so, whether it's 2:00 pm or 2:00 am, give us a call and we will come pick you up and get you and your car or truck or motorcycle or RV where you need to go. Save yourself lots of MONEY by calling us first. It can be as little as $65 depending on where you are broken down. You can trust our professional operators for the most professional towing and recovery services. We are a family owned and operated towing company. So, what is Roadside Assistance anyway? Well, that means you really don't need towing. It usually means you need a jump start or a flat tire repaired or replaced or some other kind of service or assistance. And you are stuck on the side of the road. Which makes the service or assistance roadside. Thus the name. Neato, huh? Other types of roadside assistance might be unlocking your door 'cause you left the keys inside. Who hasn't done that? Another might be fuel. As in, you ran out and you need to borrow some to get home. Well, we will bring you some and sell it to you. Of course, Emergency Roadside Assistance means something a little different. Emergency implies there was a wreck or maybe you drove off the side of the road (there's that roadside thing again) or into a ditch. Could just be a one-car accident. But, you need help like NOW. CALL US. We get there fast. According to Wikipedia, the tow truck was invented in 1916 by Ernest Holmes, Sr., of Chattanooga, Tennessee, a garage worker inspired after needing blocks, ropes, and six men to pull a car out of a creek. Tow trucks used to be called wreckers because they were primarily used for hauling away wrecked vehicles, ​Now, don't you feel smarter? Some Chandler Towing and Recovery services may be provided by Valley Express Towing. Copyright 2018 Chandler Towing and Recovery. All Rights Reserved.